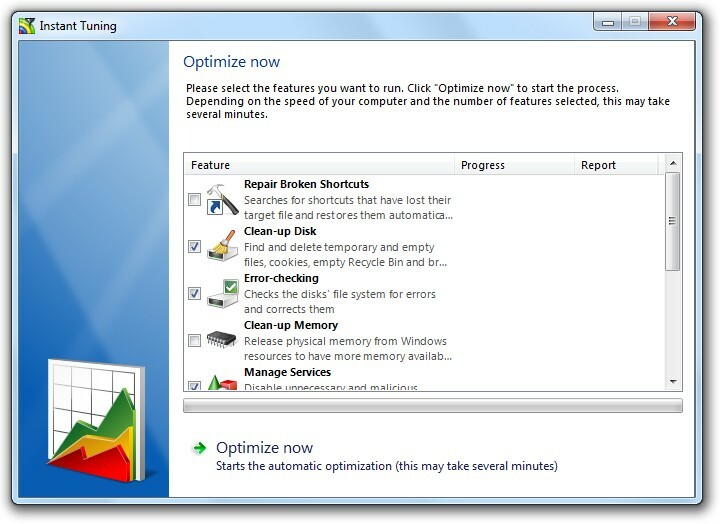 The WinLube main window offers links to all program functions. On the right side it displays a box showing the current system status. Just two clicks are needed to automatically search the system for wrong configurations and correct them. Instant Tuning performs all features automatically to optimize the system and displays a report when finished. 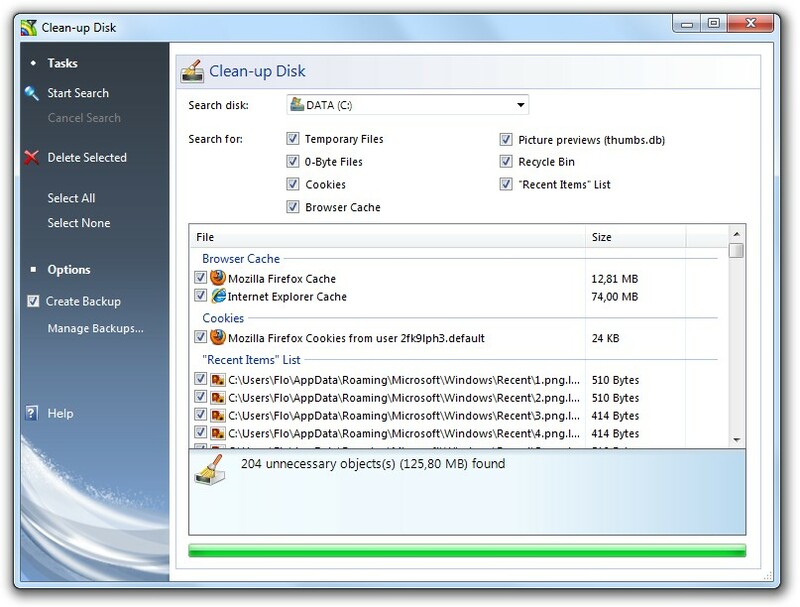 WinLube can search your harddisk for unnecessary files. The files are listed and you can select which files you want to delete. Having enough free physical memory (RAM) is essential to run multiple programs at the same time smoothly. 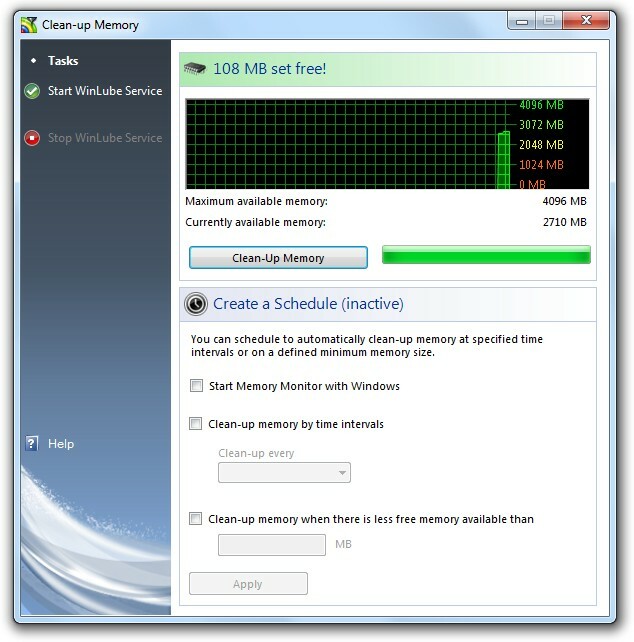 WinLube can free RAM that was used by terminated programs and Windows and is no longer needed. This can be done by a timer or at a user-defined limit of free RAM. 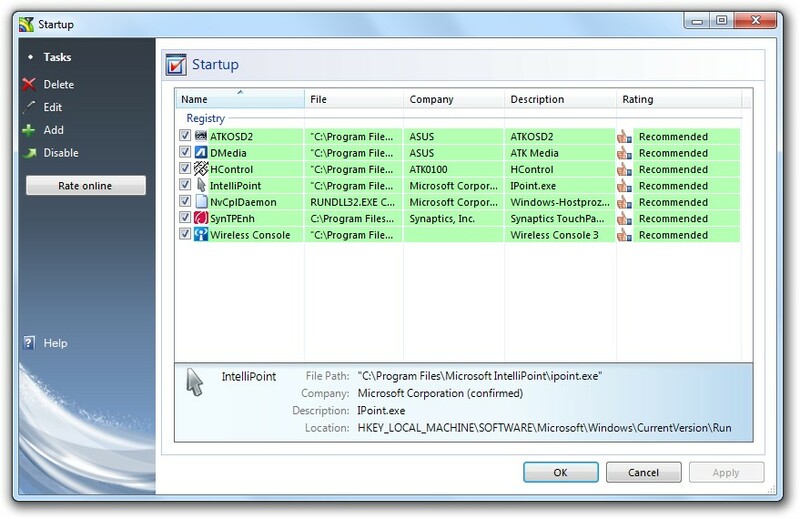 In this windows WinLube lists all programs which are automatically started with Windows. You can disable or modify these programs or add new programs to Startup. 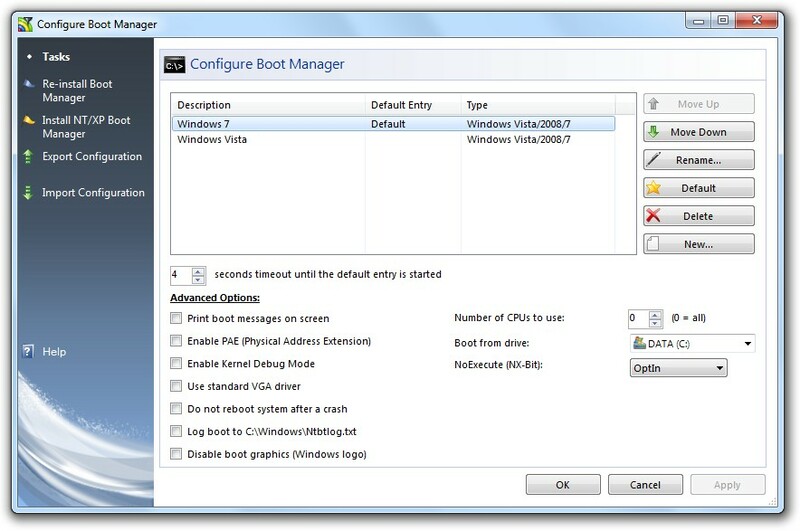 This window shows the Windows boot manager entries. All entries can be modified and various parameters can be change. Even other operating systems such as Linux or MacOS can be added. Broken shortcuts link to files that no longer exist at their original location. 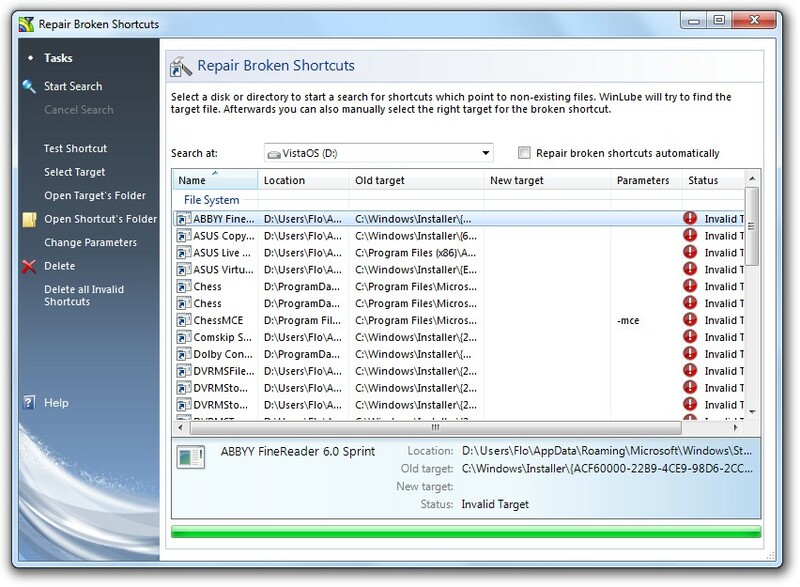 WinLube searches for the lost file and repairs the shortcut if the file was found. If it could not be found the shortcut may be edited by hand or deleted. 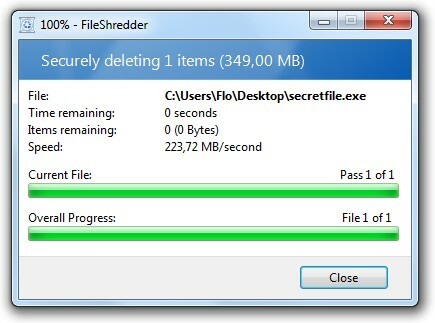 The WinLube FileShredder adds itself to the context menu of files and folders. It deletes files by overwriting the contents so they cannot be restored afterwards.